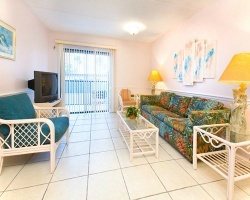 *Seven Seas Resort Condo - Daytona* is located about 30 paces from the beach. 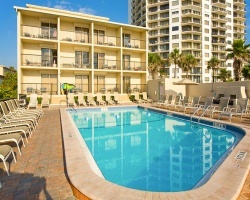 The resort features an oceanside deck and pool where guests can spend the day enjoying the Florida sunshine. Beach towels are provided. Families can barbecue on the gas grills adjacent to the outdoor pool. Other amenities on-site include a game room with a billiards table. To discover more, please visit www.sevenseasdaytona.com. Great week to enjoy Daytona Beach Shores! Make an offer today! Buyer may receive a title fee credit, inquire for details!